Mongoose Publishing Group CEO Mr Graham Paling; Gamuda Land Clubs Group General Manager of Club Operations and Townships; Mr. Tang Meng Loon and Expatriate Lifestyle Editor Ian Johnston. 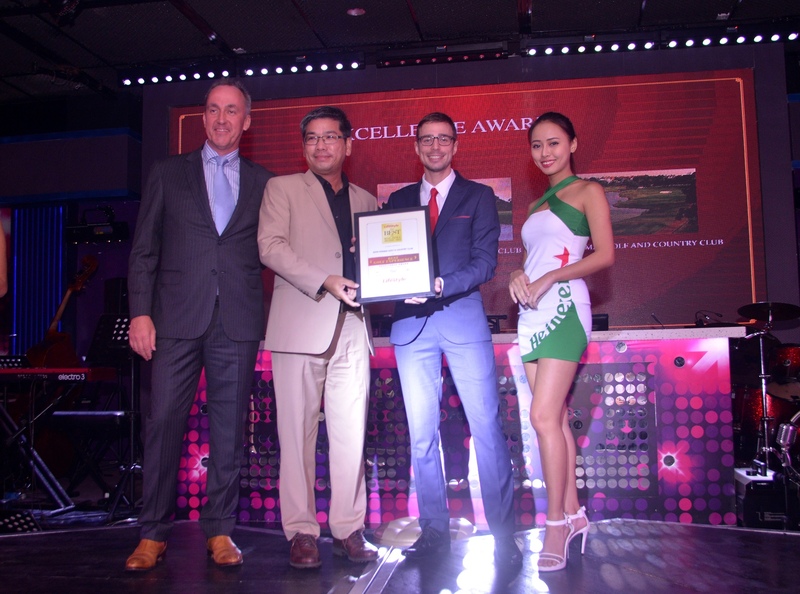 Kota Permai Golf & Country Club clinched the Excellence Award for Best Golf Experience by the Expatriate Lifestyle’s The Best Of Malaysia Awards. The Award was held at Esperance Club in Kuala Lumpur recently. Expatriate Lifestyle’s readers and social media followers are affluent, active, well-travelled expatriates, high-end international Malaysians and their visiting family and friends. Gamuda Land Clubs Group General Manager of Club Operations and Townships was present to receive the Award from Mongoose Publishing Group CEO Mr Graham Paling and Expatriate Lifestyle Editor Ian Johnston. Kota Permai, a 18 hole championship course has won numerous awards for excellence, among them being Best Course, Best Course Maintenance and Best Greens. Such recognition by industry leaders and the golfing media underlines the fact that Kota Permai is widely accepted as among the best golf courses in this region.